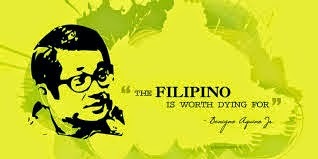 FORMER SENATOR AQUINO WAS GOOD GIVE HIS LIFE FOR OUR FREEDOM FROM DICTATORSHIP. HIS PRINCIPLE AND VISION IN LIFE AND SOCIETY AND POLITICAL PERSPECTIVE WAS GOOD FOR THE PHILIPPINES. HIS INTELLECTUALITY AND STATUS IN LIFE HE USED IT TO SERVE THE FILIPINO. THE PHILIPPINES FROM HIS LEGACY AND PEOPLE POWER STILL IN NEED A PEOPLE LIKE HIM TO TOTALLY CHANGED AND MAINTAIN THIS COUNTRY IN GOOD GOVERNMENT AND GOOD SOCIETY. THE PEOPLE HAS TO KEEP FAITH IN GOD THRU JESUS CHRIST AND SOMEDY WE WILL BE LIBERATE FROM GODS TEACHINGS AND IN THIS TIME TO FUTURE JUDGEMENT DAY. 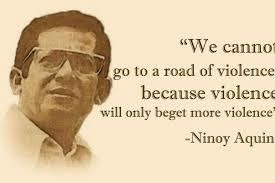 GOD WILL SEND US LIKE JESUS CHRIST AND MOSES TO LIBERATE US AND IN OUR MODERN TIME HE SEND LIKE NINOY TO OPEN PEOPLES EYES TO UNITE FOR GOOD FOR FREEDOM. NINOY IS NOT A PROPHET LIKE MOSES BUT HIS GOODNESS AND LEADERSHIP GIVE THE FILIPINO PEOPLE A MODEL TO UNITE AGAINST MARCOS DURING HIS REGIME. 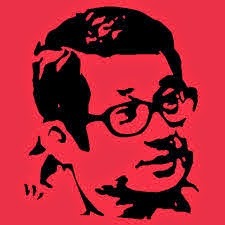 NINOY AQUINO IS PROOF THAT THERE IS LIKE MOSES WILL COME IN OUR MODERN TIMES AND THERE IS MORE WILL COME IN EVERY GENERATIONS TO FREE THE COUNTRY FROM EVILNESS OF OPPRESSIONS FROM PEOPLE USED THE GOVERNMENT FROM EVILNESS LIKE THE EGYPT TIME..